We know, we know. You’re looking for the best savings account rates for your money. We know times are bad for savers because savings accounts are paying such low interest rates, and so looking for a best savings account rate is now more important than ever. The Fed just announced they might even lower interest rates further in order to help stimulate the economy. That being the case, where do you find high yield savings accounts, from across the country, since you can now open accounts online via the internet? Here are the top 15 best savings account rates as of July 22, 2010. Though rates change every day, these are generally the banks offering the highest yield money market rates, or best savings account rates. Compare the APY rates and account minimums. If you are seeking the best savings account interest rates in this fair nation of ours, start here with this list. The first number after the date is the rate, and the second is the yield or APY, which is what matters because it takes compounding into account and allows you to compare rates from different banks which are quoted in a different way from one another. 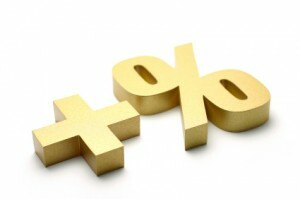 07/22/10 1.39% rate 1.40% APY – Winner! Yield, yield, yield. That is, APY, APY, APY! The internet banking companies generally offer the best savings account rates since they don’t have to pay for overhead and branch costs that eat away at profits. It doesn’t matter what state you’re in if you have access to the web because you can open and manage an account all online. So … if you don’t mind online savings accounts, there are the best savings account rates you’re likely to find, and we searched nationwide for your consumer convenience.